Euro Tier 2018 | The Smart World of Big Dutchman | Big Dutchman, Inc. Practical ideas for animal welfare and smart farming were presented by the dozen this week at the EuroTier trade show in Hanover, Germany. Big Dutchman aroused the visitors’ interest with an “innovation center” full of new ideas that will assist pig farmers across the globe with their production. A group of Big Dutchman USA customers and team members had the opportunity to travel to Hanover to see these innovations for themselves, and it was quite the sight to see. These participants were among the first to experience Big Dutchman’s newest and award-winning innovations. Every year, medals are awarded by the German Agricultural Society (DLG) for impressive innovations in the industry. 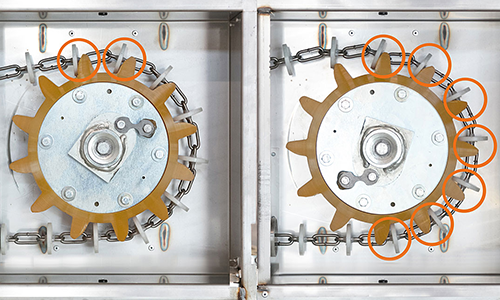 Leading up to the trade show, two of Big Dutchman’s innovations received silver medals – for the PigT waste concept and a new drive wheel called DR 1500 for dry feeding. 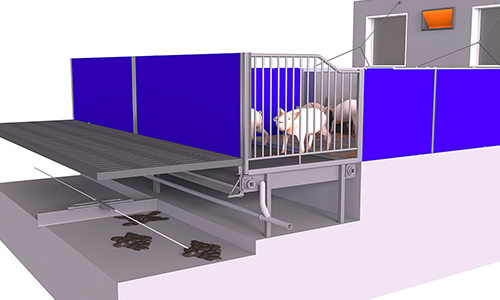 PigT is part of a finishing pen with a continuous solid floor that separates urine and feces directly after excretion and removes them mechanically from standard pig houses. This process significantly reduces ammonia emissions. Roughage and litter can be added to the pens without causing problems, allowing the pigs to exhibit their natural behaviors of foraging and rooting. The new drive wheel DR 1500 for dry feeding systems is entirely cast in elastic plastic. The drive wheel improves the distribution of force in long systems and is extremely quiet while transporting feed to the animals for less noise and less stress. Another clever idea from Big Dutchman has now made the shortlist for the much sought-after title “Innovation of the Year”, which the agriculture publishing house “Deutscher Landwirtschaftsverlag” (dlv) in Munich awards at every EuroTier. Under the name Xaletto, Big Dutchman presents a straw management system for closed housing that significantly reduces slurry output, uses technical tricks to lower labor requirements and is a very animal-friendly management concept. These innovations are just a few among many others Big Dutchman International presented at EuroTier. To learn more about the others, click here.